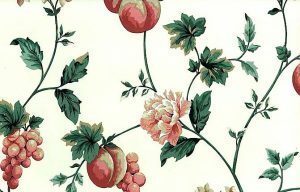 Designer fruit floral vintage Wallpaper pattern in Red, Blue, Green on White features strawberries, pears, cherries and apples. 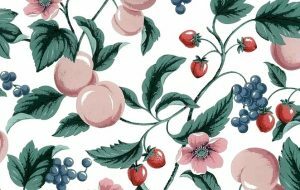 These are bold fruits that appear very real thus adding to cottage charm. 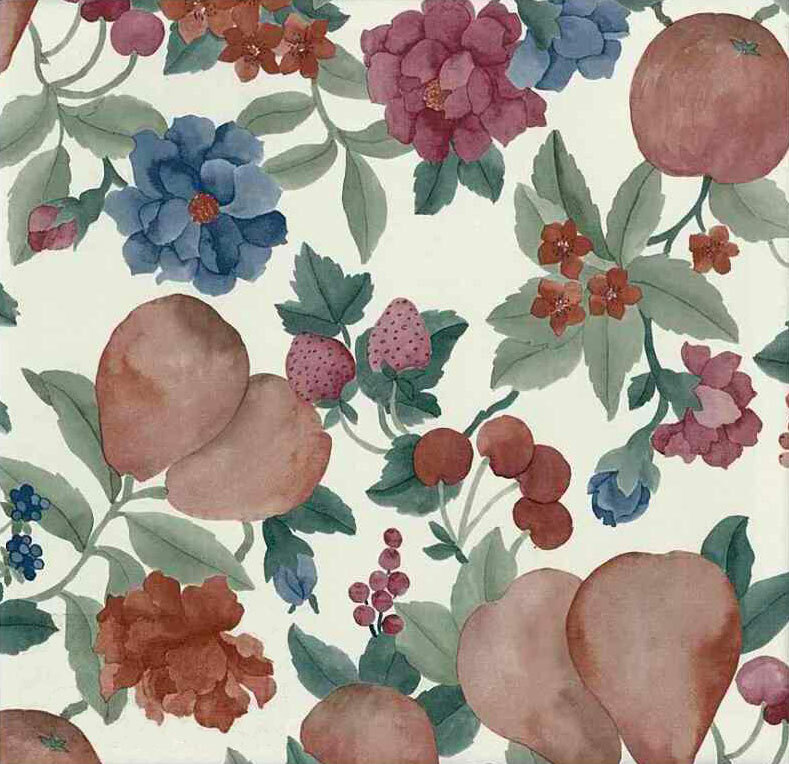 Blue and Red flowers with Green leaves complete the pattern. Ideal for a Kitchen.